Back in February, RadioShack filed for Chapter 11 bankruptcy, destroying the childhood memories of many a tech blogger, and putting 4,000 brick-and-mortar stores in jeopardy at the same time. But as of today, a plan to co-brand remaining stores with the Sprint logo is officially approved. 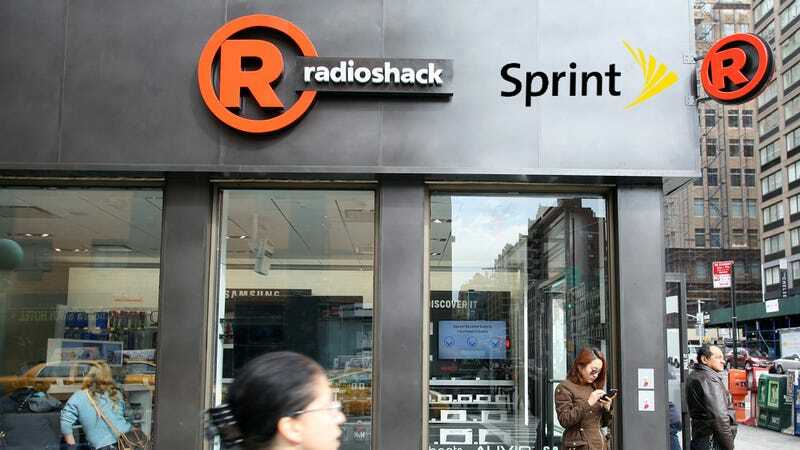 As reported by Reuters, the offer to co-brand 1,740 remaining RadioShack stores as Sprint/RadioShack locations received approval in bankruptcy court today. Stores will apparently carry both names, with Sprint occupying about a third of each location. The RadioShack side of the business has been bought out by hedge fund Standard General, whose offer beat a separate $271 million proposal from RadioShack’s largest lender, Salus Capital Partners. Although the deal keeps the RadioShack name alive for the time being (not to mention saving 7,000 jobs), it’s not really clear how New RadioShack is going to succeed where the old one failed. As detailed by one former employee late last year, RadioShack’s slow decline over the last decade hasn’t been the result of poor financial management — or, for that matter, declining interest in buying gadgets. The company went through numerous turnaround plans: it tried cutting store managers, upper management, and regular old store workers, but with no result.